There’s nothing worse than having your air conditioner break down in the middle of the summer. The heat can be absolutely unbearable. We don’t realize how important an air conditioner is until it stops works. When this situation does occur, you want to get ahold of a great air conditioning service fast. Aace’s Heating, Air Conditioning & Swamp Coolers is the answer. We provide a full range of air conditioning services to get your AC systems back up and running as soon as possible. Don’t suffer for days waiting on other unprofessional AC companies, simply give Aace’s Heating, Air Conditioning & Swamp Coolers a call and get back to enjoying the comfort of your home quick. A broken air conditioner can cause stress and discomfort for you and your family. If you start hearing strange noises from your HVAC unit or realize that your air conditioning isn’t working the way it should, don’t lose your cool. 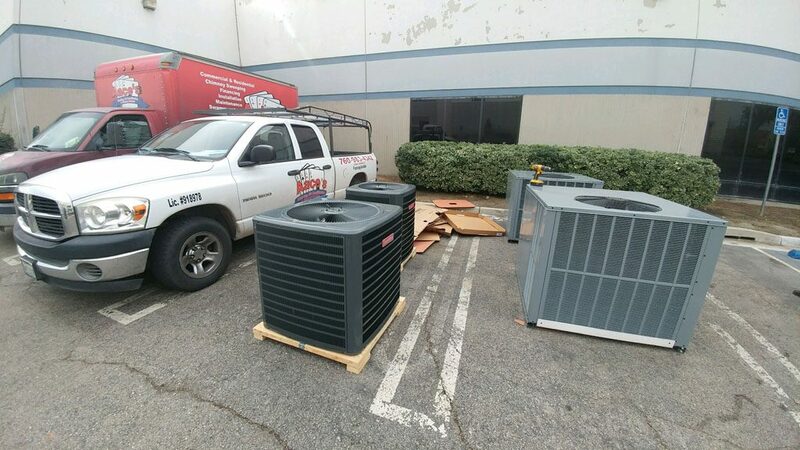 Aace’s can provide expert AC service, AC repair, AC replacement, and more to make sure your air conditioning unit isn’t out of commission for too long. Air conditioning and HVAC units are built to last, but they won’t last forever. The average lifespan of an air conditioning unit is right around 12 years. You can extend their lifespan to the maximum by hiring Aace’s Heating, Air Conditioning & Swamp Coolers for your regular HVAC service. A good question to ask yourself if you think you might need air conditioning service is “Am I comfortable?” If the answer is anything less than a resounding “Yes!” you should give us a call. We can come by for a free estimate and even offer a $25 dollar discount on our service if you mention our website. Another thing to look out for is higher than usual electric bills and weird noises coming from your air conditioning unit. These are classic signs of a broken unit that requires air conditioning service. All of our air conditioning service work is fully guaranteed. Quality and efficiency are two values that we pride ourselves in. We can service homes, mobile homes, apartments, condos, and more. No job is too big for us. Other AC companies will take their sweet time coming out to your home, but not Aace’s. We can send an HVAC service representative out to your place as soon as possible so you don’t have to suffer through the heat for long. Air conditioning units can be complicated devices. We can assess what is wrong with your thermostat, circuit breaker, air conditioning filter, and air ducts and let you know what the issue is. We will arrive at your home with all of the necessary parts to get your air conditioner back up and running fast. Living in California without an air conditioner is simply unbearable. If you find yourself feeling the heat, don’t hesitate to reach out. Give Aace’s Heating, Air Conditioning & Swamp Coolers a call for all of your AC service and HVAC service needs.